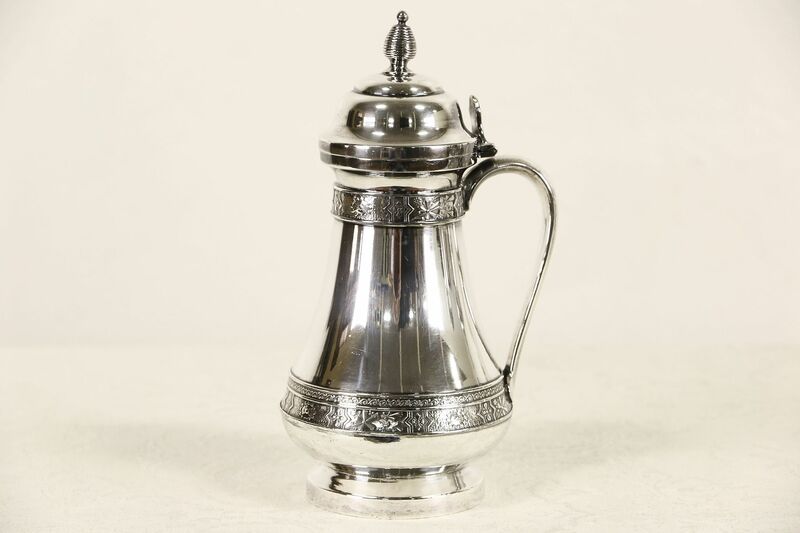 A sweet Victorian period "quadruple silverplate" syrup pitcher was signed "Simpson, Hall & Miller" in the 1890's. There are minor scratches to this American made antique serving piece which is 8" tall. USPS Shipping is $10 in the US.